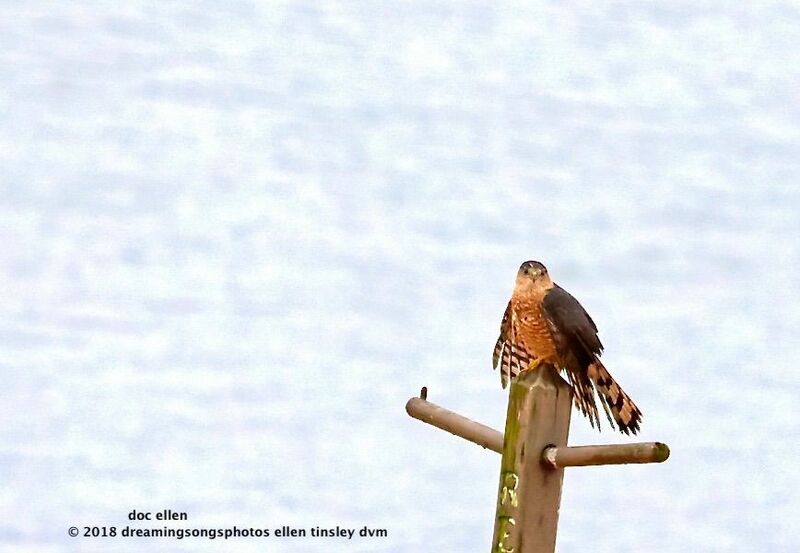 A very wet bedraggled Cooper’s hawk paused on a post to try to dry his feathers. 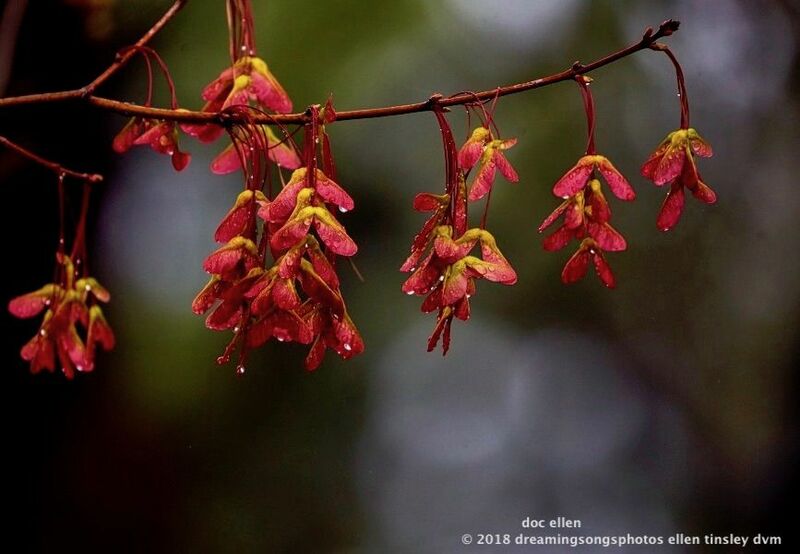 The maples were resplendent with their winged seeds. 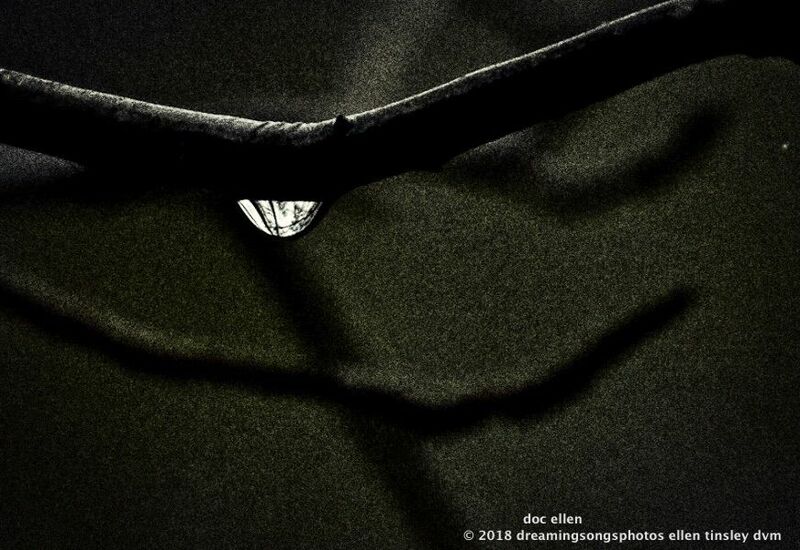 And a single raindrop caught my attention as it glittered against a dark green boldly veined leaf and reflected the surrounding trees. Posted in birds, hawks, Jordan Lake, Jordan Lake State Park, ornamental flowers, trees, photography, raptors, scapes: sky, land, water, water, wild birds and tagged as Accipiter, Cooper's hawk, Jordan Lake, Jordan Lake State Park, maple tree, maple tree seeds, raindrop, raptor, reflection, Spring, Vernal Equinox.